Why buy an SLR if you are going to restrict it with a lens that's as frustrating as the one on your compact? Isn't it ironic that the relationship between the extent of a zoom's focal range and the usefulness of that lens is inversely proportional? There are exceptions of course and, as in many relationships, money can be a disruptive influence, but in general terms the monster zoom lenses purchased for their do-all qualities actually allow us to do less. I don't have an issue with zooms at all, but I do with the fact that so many people are sold something that appears on the surface to be the answer to their prayers but which will turn out to be the Armageddon of their photography before it has even begun. 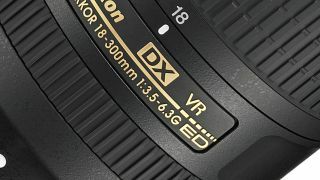 It is easy enough for anyone to see how a 28-300mm lens has the focal lengths to cover almost any occasion, but the concept of small, and progressively smaller, maximum apertures will be beyond the understanding of the new photographer and the photographer who isn't paying attention to what they are buying. For many, the thought of having a 'professional' focal length such as 300mm is too much to resist. However, what they fail to notice – and which is rarely pointed out by the sales assistant – is that the widest aperture on offer at that setting is usually f/6.3. When the unsuspecting come to shoot motor racing at that 300mm focal length and look for their 1/1000sec shutter speed to keep things crisp, they realise with disbelief that an ISO setting of 1600 is required when working with an aperture of f/6.3 – even on a sunny day. When the unsuspecting photographer then goes to shoot wildlife with that lens it will come to their attention, while looking at the pictures after their first or second shoot, that f/6.3 does not actually render fur or feathers with any detail. Tests on the dog in the back garden will show that stopping down to at least f/11 is the only way to accurately record texture and avoid making Rover look like a brown cloud – and that stopping down beyond f/20 reverses the improvement created by stopping down in the first place. So we are left with a 300mm f/11 lens that, if described that way on the box, we may have politely declined. Of course we don't all buy these lenses to use them at their longest focal length, since between 28mm and 300mm there are 15 other common focal length settings for us to enjoy – as well as all those in between the usuals. But once again the limitations of the aperture range will rob the growing photographer of the full potential for creativity that might elevate their images beyond the ordinary. In the olden days, before zooms were common, an SLR such as the popular Pentax ME Super would have come with a standard 50mm lens with an aperture of f/1.7. When you set a modern megazoom to its 50mm setting the widest aperture allowed will be somewhere in the region of f/5. And that deprives us of any hope of the selective focusing or depth of field control (especially as f/5 won't be sharp anyway) that allows us to pick out our subject by giving it crispy details against a nicely blurred background. The fact is that rather than liberating us and giving us the freedom to shoot what we want, when we want, the megazoom leaves the ambitious photographer imprisoned by the restrictions of its quality and its physics. It is hardly surprising that so often the manacles we objected to in our long-zoom compact camera come back to haunt us in our DSLR when we fit it with an equally long zoom – not many apertures to choose from, a propensity to camera shake, lots of noise from high ISO settings and a general lack of sharpness. Not to mention the distortions that make partners look fat and buildings look as though they are constructed with curved walls. Many people will buy an extreme wide angle to extreme telephoto zoom with the hope that they will be able to keep it on the camera and never take it off. The truth is that the best thing they could do for their photography is take it off and leave it off.